Pre-inked signature stamps are a time saving tool when doing payroll, letters, official documents and where an accurate and consistent signature impression is important. 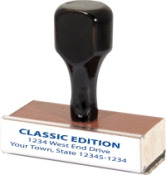 *Please remember that the quality of the stamp depends upon the quality of the image you provide. Always use a large, high-quality image file, and avoid enlarging the signature electronically. 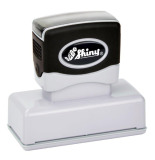 Next Day Signature stamps are crystal clear, crisp, outperform the competition and takes seconds for impression.